When you're royal, something borrowed takes on a whole new meaning. Meghan Markle will no doubt be dipping into the tiara troves of Buckingham Palace for a piece of sparkle to set the tone on her bridal look. And she's just the latest in a long line of recent royal brides who have borrowed the bling for their big day. 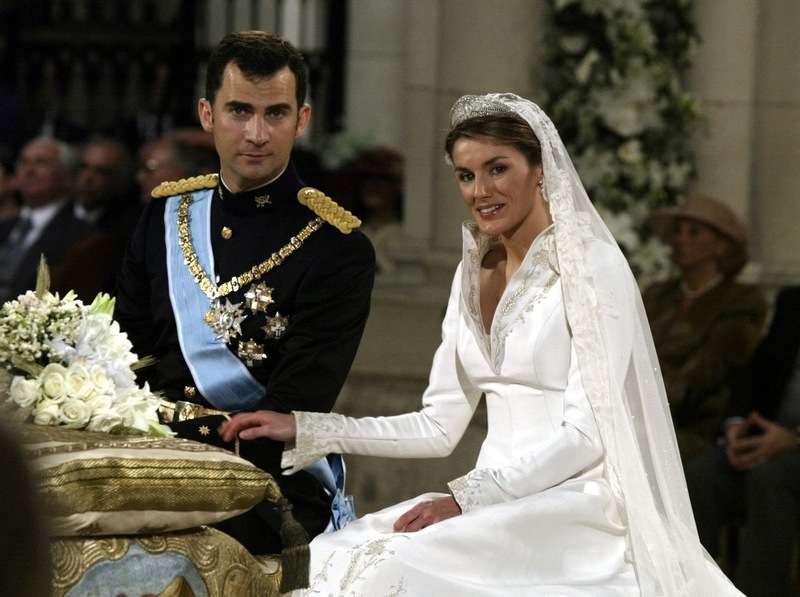 When TV presenter, Letizia Ortiz Rocosolano, married the then Prince Felipe of Spain on May 22nd 2004 she took a loan from her soon to be mother in law for her dose of diamonds. She couldn't have made a more symbolic choice because this tiara has serious royal wedding history. It began its royal life, as many a good diadem has before and since, as a wedding present but no one could have imagined when this sparkler was handed over how significant that celebration would be. It was a gift from the last Kaiser of Germany, Wilhelm II, to his daughter, Viktoria Luise. on her marriage to Prince Ernest Augustus of Hanover in 1913. Viktoria and Ernest weren't the biggest royal players on the scene but the date is a clue as to why their wedding became so important in regal history. It ended up being the last major social gathering of many of Europe's royals. Over 1,200 people sat down to dinner at their reception - among them Tsar Nicholas II of Russia and George V. The tiara was part of an event that ended up being the swansong of a royal world now gone. It ended up in Spain in a very traditional and much less dramatic way. Viktoria gave it to her daughter, Frederica, who married the future King of Greece. Frederica passed it on to her elder daughter, Sofia, who wore it when she wed Juan Carlos of Spain in 1962. When Juan Carlos took the throne of Spain in 1975, after the death of Franco, the tiara became part of a queen consort's collection again. It's been well used by the royal ladies there since but it got a new layer of history added in 2004 when Letizia chose it for her wedding to Felipe. The tiara itself has a real air of the era in which it was made about it. Created just as Art Deco was coming into being, it has the clean, chic lines that came to be so popular throughout the 1920s. It's all diamond with a row of Greek keys at the bottom and a line of laurel leaves at the top. In between are lines of sparklers which rise up to surround a single, swinging, oval diamond in a glittering frame all of its own. 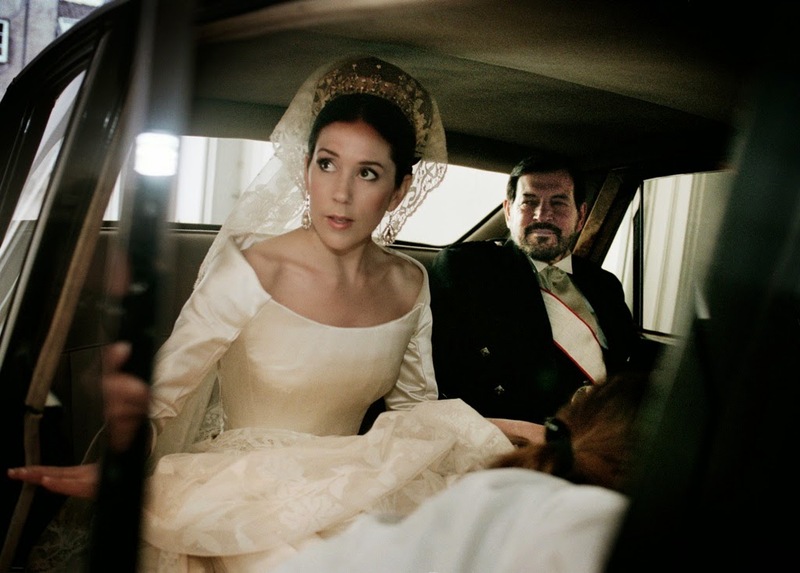 It's pretty much an ideal wedding tiara and not just because of its history. It's subtle and elegant but can hold its own - often the more delicate tiaras end up merging into veils and updos but this one has just enough grandeur to sparkle away doing its own thing without detracting from the dress. 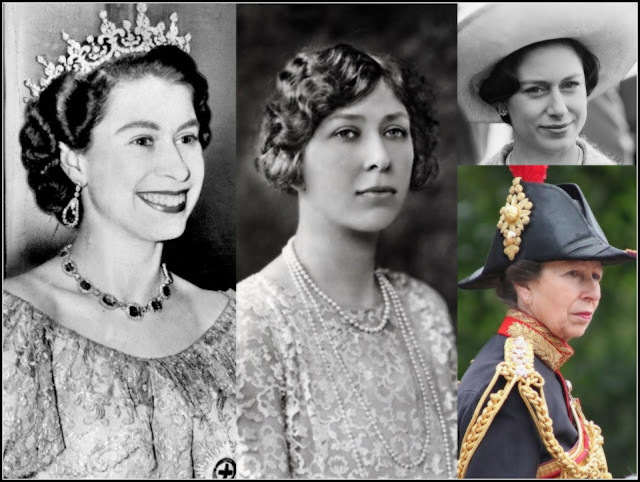 Elegant and historic, a tiara made for royal weddings.